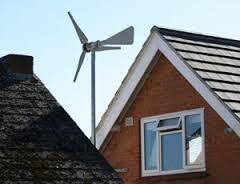 Lyn Jenkins (South Wales Evening Post, Letters, 13 October) gives a very partial view of the contribution of renewables to our energy needs by focusing solely on wind and on one particular day. In October 2014, on the day that Didcot B Power Station went up in flames, three of our nuclear power stations also had to be taken off line for urgent maintenance. The lights did not go out and nobody among the general public noticed. 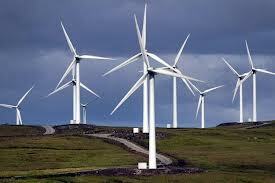 Reason: it was a windy day and wind-generated electricity filled the gap. That was the first occasion on which renewables generated over 25% of the electricity consumed on a single day – but it was not the last. In the second quarter of this year renewable energy produced 25.3% of the country’s electricity – more than either nuclear power (21.5%) or coal (20.5%). Far from being “petty” and “unreliable”, renewables are now an essential part of the UK energy mix, and Lyn Jenkins and friends are just going to have to get used to it! A truly “common sense energy policy from British politicians” would see them throwing their full weight behind renewables and reducing support for the multi-national corporations currently making huge profits from the heavily subsidised, over-priced electricity being generated by fossil fuels and nuclear. The International Monetary Fund estimates UK subsidies to the fossil industries in Britain at £30 billion annually – more than £1,000 per household per year. In contrast, support for all renewable energy amounted to £2.6 billion last year, about £100 per household per year, with onshore wind adding just £10 to household energy bills. Renewable energy receives one-tenth of the support that fossil fuels do, yet powers 25% of the country. Something seems to have gone awry with Lawrence Bailey’s usually excellent column this week. His piece ‘Fast track to digging deeper’ (Evening Post, 25 August, page 10) appears to have been edited to the point where it’s difficult to understand just what his point is. UK Methane Ltd has applied to Swansea Council for Planning Permission to test drill for Coal Bed Methane in Llangyfelach. As the company has made very clear, the proposed development does not involve the controversial process of Hydraulic Fracturing (or “fracking”). So this application does not fall within the terms of the moratorium, nor is it a way of getting around the moratorium. Quite how this could be seen as curtailing “Celebrations in Cardiff Bay” is difficult to see. On 14 August Natural Resources Minister Carl Sargeant AM wrote to all local councils in Wales to assure them that measures to fast track fracking were applicable to English councils only and reiterated the Welsh Government’s preference for renewable forms of generation over oil and gas exploration. Methinks it will be the frackers whose celebrations may yet be short-lived! It is axiomatic to say that developers exaggerate the benefits of their products. (‘Solar panel output only 10 per cent‘, South Wales Evening Post, 22 May 2015). ‘Twas ever thus. Readers of my age will no doubt remember the promises made in the 1950s that nuclear power would provide us with electricity that was too cheap to meter. And let’s not get started on broadband speeds! When the National Grid was first established in the 1930s, over 50% of the energy produced was wasted through inefficiencies. It has taken us 80 years to get to the current state where transmission losses are below 10%. These days technology moves a lot faster, and we are seeing improvements in the efficiency of renewable energy systems almost daily. 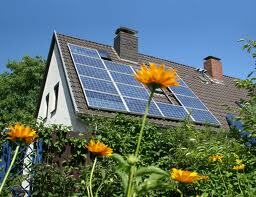 But the real beauty of renewable energy is that we can all do it. We no longer need to rely on multi-national big business to provide our energy needs. 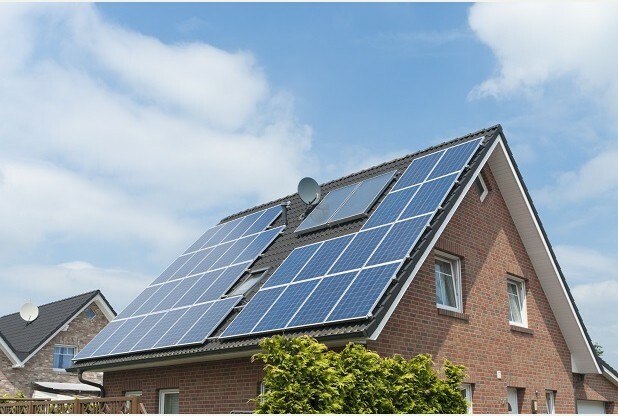 Even with the current state of the technology it is possible for individuals and community groups to get a net benefit from renewables. And if we were to develop small scale renewables to the maximum extent, with solar panels on all our houses, schools, public buildings and businesses, that would be an awful lot of 10 percents; an awful lot of clean, safe energy generated; an awful lot of carbon footprints reduced; an awful lot of domestic energy bills cut. As the Scots say, “Many a mickle maks a muckle” – a lot of little things add up to a big thing. I find myself in a quandary over whether to vote tomorrow. Of course he seems to have changed his mind in the last few days, and is now advising people to vote Labour unless they live in Scotland or Brighton Pavilion; but the argument remains compelling. In the 30+ years since I began voting I’ve always voted Green when I could – when there was a Green candidate to vote for – with one exception. About 10 years ago I found myself unable to support a local Green candidate due to my concerns about his personal veracity. That individual subsequently withdrew from active involvement in Wales Green Party, but has recently re-emerged and taken up his erstwhile strategy of flinging mud around at anyone and everyone who disagrees with him or has a different viewpoint. Yesterday I was given details of a recent facebook post in which this person attacked not only me but also a close friend who was until recently a very active member of Wales Green Party. The attack is completely unfounded, cowardly and extremely distasteful, the more so as it comes from someone who purports to represent a party that claims to be different and above the dirty tactics of the other parties. The fact that both my friend and I spent years working hard for the Green Party, campaigning, canvassing, funding our local parties (in my case from my own pocket) and standing in elections at all levels – much of the time with scant help from anyone beyond our local parties – obviously counts for nothing with this particular individual. It seems that, for him, commitment and hard work do not earn credit unless you’re working to his vision of the world. This incident has further dented my already shaky faith in Wales Green Party, and led me to wonder if the Welsh Greens are anything other than just another political party. My quandary now is can I vote for a party that gives voice and perhaps even credence to such an unpalatable individual? 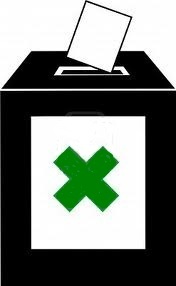 When it comes to it I’ll probably do the right thing and vote Green, even though a good result for the local Green candidate will almost certainly be used as another stick to beat me with (because I was the previous candidate, and lost my deposit (which I remind you, came from my own pocket!)). But my vote will be a tactical vote, rather than a vote for either the party or their candidate. I’ll be voting for electoral reform, because only then will we be able to form governments that truly reflect the people of the UK and the way they vote. If the smaller parties get more votes but no more seats in this election, it will add authority to arguments for electoral reform. Politics is such a dirty game, but I live in hope that somebody will eventually stand by their stated principles and begin the long overdue job of cleaning it up! Labour Leader Ed Miliband has today launched the Labour Party campaign for the General Election with a promise to lead a “crusade to change the country”. In recent years we’ve learned not to put much faith in pre-election promises (Obama and Guantanamo Bay; Clegg and Tuition Fees; Cameron and ‘The Greenest Government Ever’; just about everyone (except Caroline Lucas) and dealing with Climate Change). The last five years have seen the virtual completion of Margaret Thatcher’s grand vision of the corporate capture of government at all levels within the UK. Even at local government level, the needs of business take precedence over the needs of the community almost without fail. And Labour has been complicit in this from the day Tony Blair was elected as Leader of the party. Even if Ed Miliband is sincere in his promise, so long as his party and their policies prioritise the needs of capital over the needs of ordinary people and communities, there is very little hope for any real change. The financial deficit is not the real problem – the real problem we face is the political and democratic deficit. If we want change then it is going to be up to us to make change happen. Labour will not change unless they are forced to change; and we have to create the force for change by doing something different at the coming election – and persuading our friends and neighbours to do likewise. There is an alternative to the old, grey parties of the Centre Right. All we have to do is choose it! Plaid in Wales; Green in England; SNP in Scotland. It baffles me that seemingly intelligent people like Dave Lees (‘We need right energy answers’. Evening Post Letters, 4 December) cannot see the simple logic of renewable energy. The fuel is free, it doesn’t have to be dug out of the ground, it doesn’t need to be processed, it doesn’t need to be transported, and there’s no waste. Granted the sun doesn’t shine all the time, and the wind doesn’t always blow, so renewables may be less efficient than fossil fuels (although that’s debatable) – but surely, pound for pound, renewables has to be our first choice when it comes to generating electricity. The more we generate from renewables, the less carbon emissions we produce, the better for all of us and the planet. Exploiting these relatively free forms of energy that are all around us makes perfect sense from both an environmental and economic point of view. Of course, the problem for evangelical supporters of “business as usual” big energy, is that given the right encouragement and support from government at all levels, it would be possible for most of us to be producing at least some of our electricity from renewable resources, thus reducing our energy bills and lifting millions out of fuel poverty. Unfortunately that would do serious damage to the ability of the big energy companies to make obscene profits and pay excessive bonuses while at the same time raking in massive public subsidies. It is Dave Lees (‘Energy policy is just lunacy’, Letters, 10 November) who stands “in total disregard of the facts and the mathematics” – the facts of climate change and the mathematics of energy subsidies. As the latest IPCC report has made clear, we need to be drastically reducing carbon emissions as a matter of urgency rather than burning more fossil fuels. Whilst gas may be “a relatively low pollutant” when compared to coal, it is still a pollutant that emits greenhouse gases. Producing natural gas using fracking carries a significant risk of methane leakage to atmosphere, which can only add to the problem. Energy companies have enjoyed many a Christmas at the expense of British taxpayers. All forms of energy production in the UK are subsidised from the public purse, with nuclear being the most heavily subsidised of all. Yet the power companies continue to make massive profits and pay their executives obscene salaries and bonuses. David Cameron promised us “the greenest government ever”, but from the moment they came to power the Coalition government began cutting subsidies to renewable forms of energy and offering even more incentives to the nuclear and fracking industries – the very opposite of what we ought to be doing if we are to play an active part in dealing with climate change. Whilst I would prefer that we were building a wind farm or solar array on the Felindre site, using the gas fired power station in order to back up renewable energy production is at least a step in the right direction. It's the same the whole world over; it's the poor what gets the blame; it's the rich what gets the money; ain' it all a bleedin' shame. If I have to tell you, you will never know.